My Mom is an amazing cook. Growing up she had so many recipes we just loved but with six kids she needed something she could get on the stove or in the oven quick. One of the recipes she often made was Porcupine Meatballs. 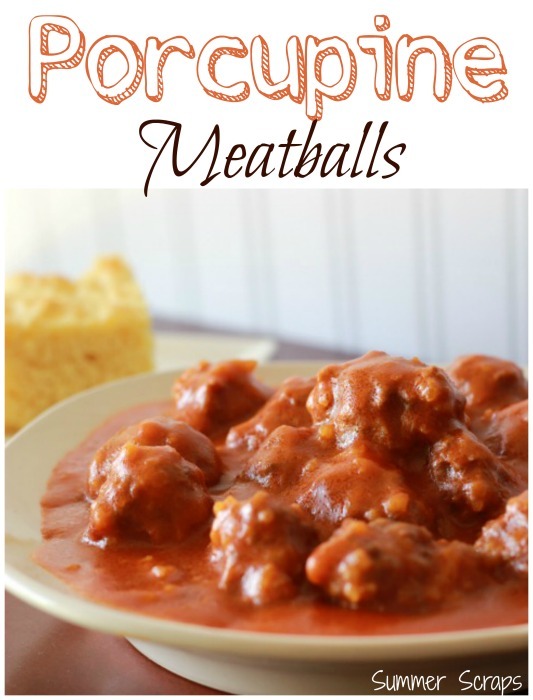 These delicious meatballs have always been a comfort food for me and I love that my family loves them as well. To make the meatballs combine the beef, rice onion, water, salt and pepper. Shape into about 14 to 15 balls. 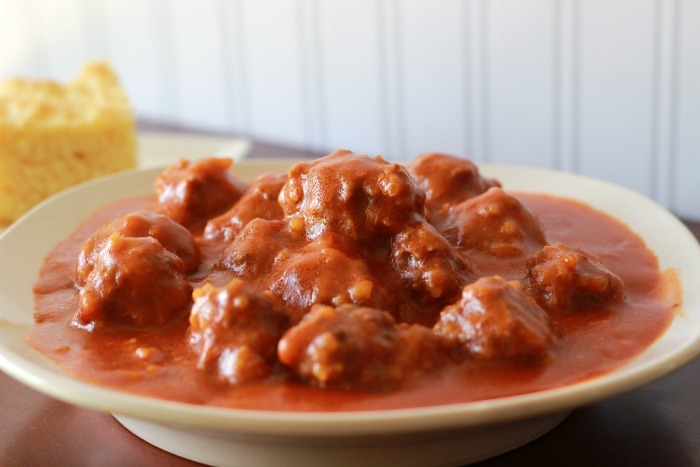 I often will make a double or triple batch and freeze the other meatballs for when I make this again. I love having meatballs in the freezer so I can make this meal up quickly. My sauce recipe is actually doubled from what my mom would make. My family loves sauce so I have doubled it in the ingredients above. If you don’t like as much sauce you can half if (1 can soup, 1/2 tsp chili powder, 1/2 cup water). Mix the soup, chili powder and water together. Bring to a boil and then add the meatballs. Cover and simmer gently for one hour, stirring every 15 minutes. Enjoy with a salad and rolls or corn bread! Tip: If you do make a double batch of meatballs just pull out your meatballs the night before you need them and let them thaw in the fridge. They should be thawed and ready to use when you begin making dinner. 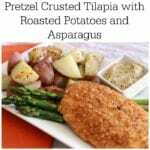 If you like this recipe be sure to check out my other recipes and main dishes. 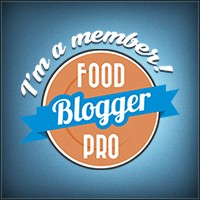 lucy recently posted…Bookmarks and Nachos…. Must pin this! So yummy looking! I haven’t ever had these I think I need to remedy that!!! My mom used to make these also! 🙂 Hers were just a little different. She also used chopped green pepper, instant rice instead of precooked rice and an egg to hold the meatballs together. I still make these for my family! Great recipe! My girls love meatballs so I’ll have to try this out! Thanks for linking up to #ShareTheWealthSunday! These sound like they would be so moist and tender!! Love it and sounds very easy to make, too! 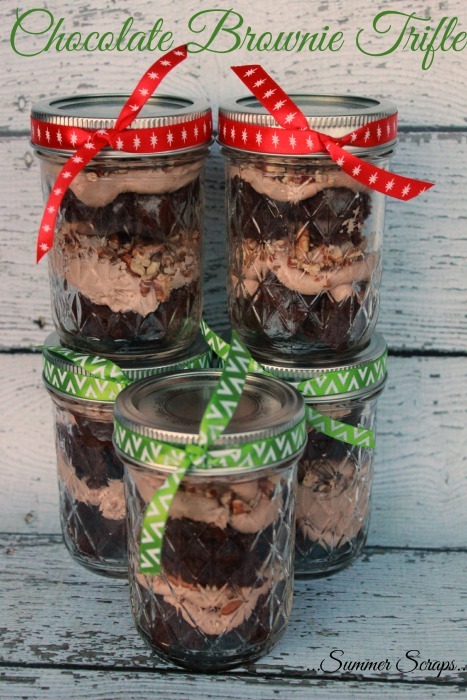 Thanks for sharing with us at the Home Matters Linky Party! Hope you join us again!